Finishing the requirements for a certificate or associate degree in medical coding and billing is only the beginning. Now’s the time to begin applying for positions and testing your skills. Your job search likely won’t be long because the demand for medical coders and billers is high. The Bureau of Labor Statistics reports that employment in the health informatics field will grow faster-than-average by 15 percent through 2024. Healthcare providers can’t be reimbursed and remain profitable without medical coding and billing specialists. Here’s what this in-demand job will entail after graduation. Medical coders and billers oversee crucial steps in the reimbursement process to keep the revenue cycle flowing. Medical coding specialists will carefully review patient files in the electronic health record system. By following the doctor’s notes, they’re able to assign numerical codes to the diagnosis and treatment provided. Coders flip through resource books to determine the right CPT or ICD-10 codes for each patient service. Every cost, including lab tests, consults, medications, and treatments, gets coded. Medical coding specialists often talk with physicians or nurses to clarify any unclear patient information. For medical billing jobs, the daily duties will differ. Medical billers collect the records that have been coded to turn treatments into invoices. They assign financial values to patient services and submit insurance claims to the proper carrier. Billing specialists interact with the insurance company’s representatives to get claims processed. If coverage isn’t available, medical billers will send out bills to patients and follow up until they’re paid. When claims are denied, they also spearhead the appeals process on behalf of patients. Some medical billing specialists assume basic accounting roles by drafting accounts receivable reports. Medical coders and billers work behind the scenes in office cubicles for healthcare organizations. Most of their day is spent sitting at a desk, typing on the computer, and speaking on the phone. The desks of medical coding and billing specialists are often stacked with reference materials, claims forms, and patient files. They work independently because paying attention to detail is essential for accuracy. Direct patient contact isn’t common unless they must answer invoice questions from an uninsured individual. Medical coding and billing jobs are usually full-time with normal 40-hour weeks from nine to five, but part-time scheduling is offered too. Virtually all healthcare organizations depend on a medical coding and billing team. The majority, around 38 percent, are employed in state and private hospital systems. Medical coders and billers also work in physician offices, outpatient centers, clinics, specialty hospitals, rehabilitation facilities, and managed care organizations. Others work on the opposite side of the claims process for health insurance companies. Experienced coders could work for government agencies like the Department of Health and Human Services (HHS). Although it’s important to beware scams, some medical billing and coding jobs are remote for working from home. Since medical codes and insurance laws continually change, schooling never really stops in this profession. Becoming certified is the best way to advance your career. The American Academy of Professional Coders offers the industry’s certifications. The Certified Professional Coder (CPC) credential is available to those with two years of coding experience and 36 continuing education units. There’s also the Certified Professional Biller (CPB) and Certified Risk Adjustment Coder (CRC) designations. Experience can lead to advancement in other avenues too. Coders can eventually become medical records technicians, coding managers, clinical data analysts, and health information directors. Building a career in medical coding and billing provides many benefits without a long trek into higher education. Graduates of online or on-campus training programs will utilize state-of-the-art software technology to coordinate patient payments. The career path offers an average yearly salary of $40,430, or $19.44 per hour, with room for advancement. 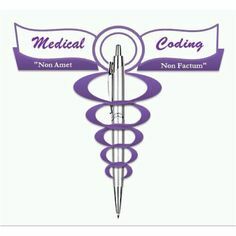 Medical coding and billing jobs place workers at the helm of keeping healthcare systems profitable and cost-effective. At this moment in time, the health profession is undergoing some major changes and improvements, and one of the areas that is most exciting is information management. Every hospital, no matter how small, now must manage a truly enormous amount of information for each patient. Sometimes, this information has to do with bill payments, and sometimes, this information is actually designed to preserve a patient’s life. If you are someone who has already completed their medical billing and coding training and interested in expanding your knowledge within the medical profession, a Bachelor of Science in Health Information Management might be the degree program for you! When you are interested in medical coding and medical billing, you already know that there are certifications that are designed to give you the skills that you need. However, if your interests in this area go beyond simply doing the tasks themselves and towards building the systems that they rely upon, you should take a look at Bachelor of Science in Health Information Management. A bachelor’s degree in this program allows you to take the next step when it comes to data management, and in addition to helping you rise in the system, it can open you to a whole new way of looking at your work. For many people, a Bachelor of Science in Health Information Management is the next logical step. This degree is one that is increasingly chosen by people who have already earned an active RHIT certification or who have completed a degree in Health Information Technology. This is something that can increase your earning potential, and it provides you with more of the challenges that you have come to love. Other people simply have a deep interest in information protection and management, and this allows you to use your skills in an essential and exciting way. When you are looking at obtaining a Bachelor of Science in Health Information Management, you should also be looking ahead to the kinds of career opportunities available to you post graduation. For example, many of the jobs that you can secure will naturally be centered around hospital work. In addition to the medical coding and billing positions that you will be qualified for, you can also take management positions as a system manager, an information department director or a clinical data specialist. Essentially, you will be in charge of curating the information that a hospital is responsible for maintaining. It will be your duty to not only protect it, but also to make sure that it is available. You might also be put in charge of marketing initiatives or informational programs that will make the system clearer to others. On top of that, you will also find that you are qualified to work in public clinics and private physician offices. A little further afield, if you decide that you have a passion for the way that data systems are set up, you might find that you are invested in taking positions with IT and software vendors, or even with insurance companies or the government. Depending on your level of expertise and experience, you might also find yourself working as a consultant. When you are looking into a Bachelor of Science in Health Information Management, you may wonder what kind of classes you have to get the degree. Though the classes will vary from university to university, you will find that some of them are very common. For example, you will likely need to take classes on data security and on financial management, where you make sure that the system works with the budget that it is using. You’ll also find that you need to take a functions and services class, where you will look at what the system you are going to be managing really provides, and you will also likely be taking a quality management class, where the system’s quality assurance is discussed. You may also find yourself drawn towards classes on statistics and research, especially if you have an interest in the healthcare’s data system on an architectural level. As you progress further with this degree, your interests will be sharpened and you can find classes that best suit your needs and your interests. Is a Bachelor of Science in Health Information Management what you have been looking for? Many people are drawn to the coding and billing fields yet find they wish to expand their educational foundation and career prospects. Often these people embark on completing training within Bachelor of Science in Health Information Management programs to do just that! A great number of people tend to believe that medical coding and medical billing are one and the same thing. But they are not. The job of a medical biller is different from the work of a medical coder and it’s only in few exceptions that you will find a single employee is covering both, especially in small medical facilities. In fact, the work done by both is administrative and both groups do not do any medical work with patients so this often makes people think that they are the same occupation. Medical billing mainly entails the process of handling and submitting the records of patients to government agencies and insurance companies for the services that have already been offered to the patient. Medical billers make use of alphanumeric and numeric codes that were assigned by medical coders during the procedure of diagnosis to process this medical form and submit them in claim forms to payers. Patient data concerning their clinical procedure is entered into practice management software which is eventually used on the claims. A competent medical billing process makes sure that the paperwork process is completed in time to ensure payment is received without delay. The quality and integrity of the data is also the sole responsibility of the medical biller together with running of the medical reports. They need to understand all the insurance procedures in order to facilitate accurate submission of claims. In some cases, medical billers are the ones responsible for explaining these charges and insurance benefits to patients. Medical billers should keep track of the billing process and maintain contact with insurance firms to ensure money is received on time. Medical coding mainly involves the medical records of the patient. The coding should be accurate in order to eliminate any misguided diagnosis or notes. Alphanumeric and numeric numbers that have been constituted by the healthcare industry is used by medical coders in the translation of patient clinical records into a universal agreed letters and numbers in order to aid in medical billing process. These codes are helpful to marketing staff, resource management and health care statistics due to their shortening of lengthy descriptions for treatments, diseases and illness. These codes cover all the types of clinical procedures from office visits, to routine examinations, to injuries, to illness, to surgical procedures. · CPT-Current Procedural Terminology: These are codes that apply to physician’s office procedure and outpatient procedures. · HCPCS – Healthcare Common Procedure coding System: These are codes that apply to Medicaid and Medicare procedures. · ICD-9 – International Classification of Diseases – this is an international coding system for procedural and diagnosis codes. The training of medical coders is mainly done in diploma and certificate training programs and others pursue their training in Health Information Technology associate degree programs that basically deal with reimbursement and coding. Some of the coding credentials are a certified professional coder that’s offered by American Academy of Professional Coders. Medical billers also obtain their training form certificate and diploma programs that is channeled towards insurance and medical billing. Certified Reimbursement Specialist is a special credential for billers. With this information, you will have a better understanding about medical billing and medical coding which can be important in your future decisions. More importantly, you will be able to understand what the difference between medical coding and medical billing is. These two closely related professions have been very vital in the healthcare industry and are required to be accurate and detail oriented to avoid slow processing and delayed payment. Accuracy, proficiency, experience and education are core values in these special departments of the healthcare industry.